The modern civilization is so corrupt and as sinful activities are more and more committed, the people will be forced to face more troubles, by nature's order. 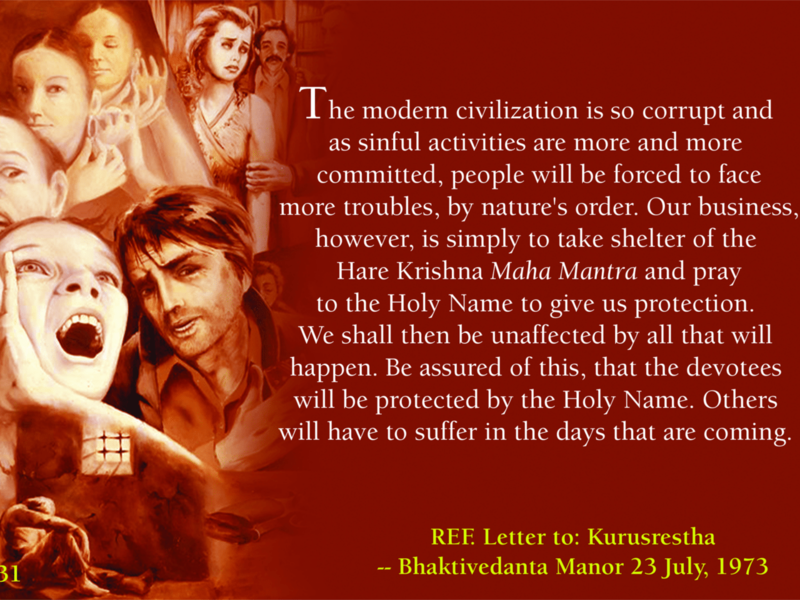 Our business, however, is simply to take shelter of the Hare Krishna Maha Mantra and pray to the Holy Name to give us protection. We shall be unaffected by all that will happen. Be assured of this, that the devotees will be protected by the Holy Name. Others will have to suffer in the days that are coming. When the acaryas are seen with beard, that is during Caturmasya, July-September.